Even though the whole discussion on what to wear to a wedding is mostly reserved for women, it’s not easy for men either. 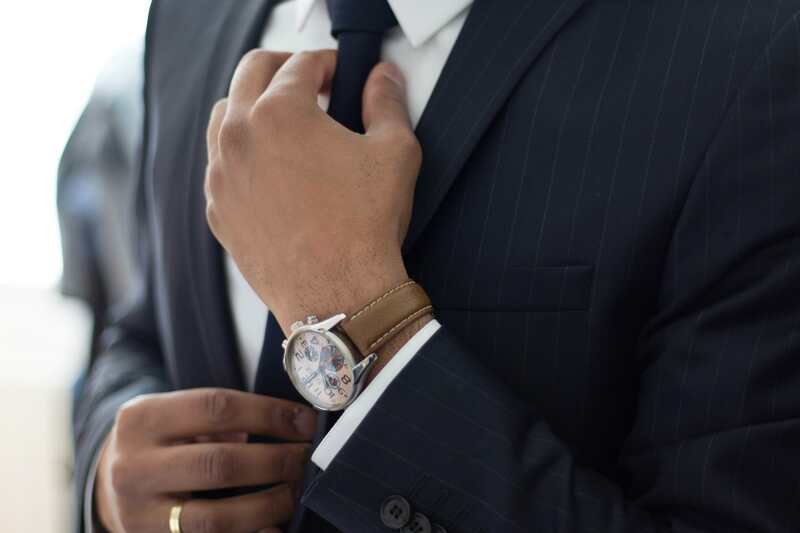 If you’re a man who doesn’t know what to wear to the next wedding, or you’re a woman who wants to have her man dressed to impress for the upcoming wedding ceremony of your friend, here’s a guide on what to pay attention to. Men’s wedding outfits are not about changing the shirt with a different pattern every other wedding, so if you really want to be on point, take a look. 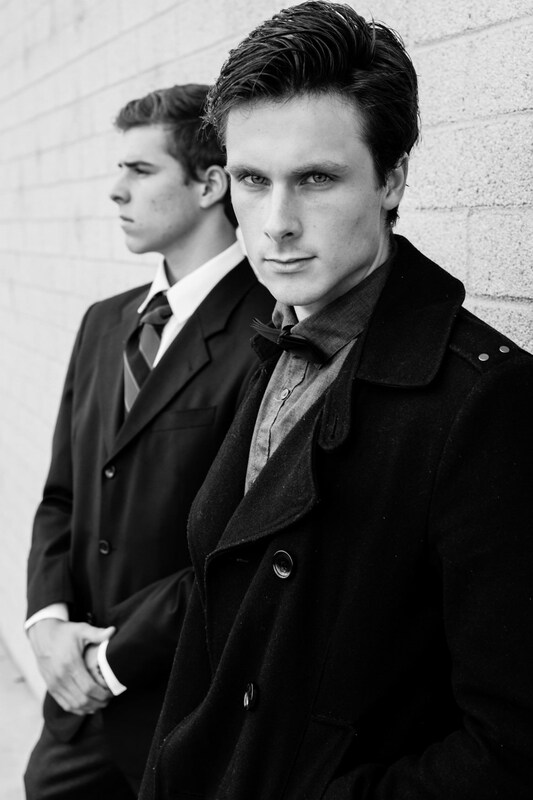 Even though having a lot of accessories is not formal at all, there are some that will definitely enhance your look. One of these is a bag, since you will definitely need to take several things with you on a wedding and putting them in your pockets is a sin. There are many mens leather bags made in Australia and worldwide that can play a significant role in your whole outfit. Choose the one that’s the most minimalistic and make sure to match the color of the bag to your suit. Moreover, don’t forget a nice watch that will make your hands look excellent (we do adore good watches). Lastly, if it’s an outdoor wedding, take a pair of glasses with you, in order to look dapper. Again, avoid plastic ones, since you don’t want to ruin your outfit by wearing something cheap. Since not many weddings nowadays are very formal (unless it’s a Royal Wedding), many opt for the semi-formal style. And luckily, it’s a style that is your safest bet, as this code isn’t really specified. The best would be to choose a suit of any color apart from black, such as navy blue or gray, and wear a monochromatic shirt that will go well with the color of your jacket. For this style, you can wear patterned ties and socks in order for the outfit to be more unique and interesting. Make sure not to overdo it, though. You can also opt for the cocktail attire, which is something between the smart casual and semi-formal. If you choose this one, you can wear patterned suits with a white shirt and look amazing. The biggest mistake men make is that they wear an outfit that is totally inappropriate to the current season. 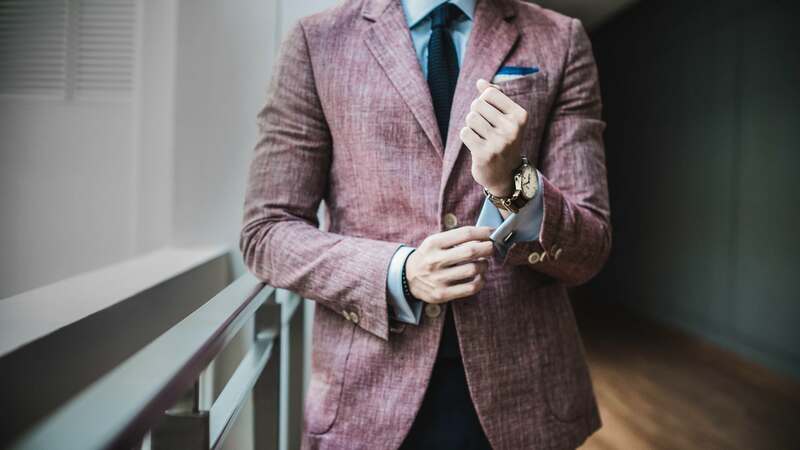 For example, if you choose the cocktail attire, you cannot go with tweed materials and heavier wools during summer, while linen and cotton suits cannot be worn during winter. Do we have to mention that you should avoid light colors in winter? For summer weddings, you can also opt for ankle-height trousers, which are very popular nowadays. On the contrary, winter wedding outfits can be enhanced with a high-quality coat that you can match to the rest of your outfit. Last, but definitely not the least important, is the footwear. One option you cannot go wrong with are oxfords, but you will have to choose the color according to the type of the wedding. 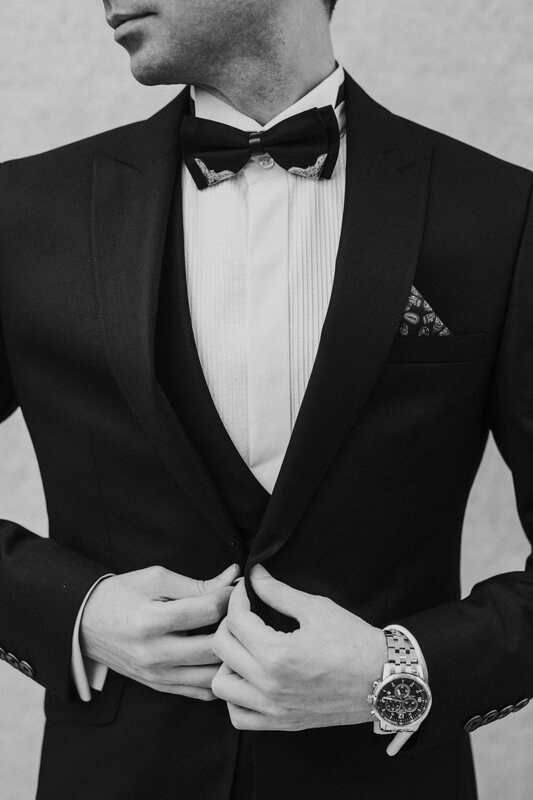 If it’s a formal, black tie wedding, make sure to choose elegant black ones, while for the semi-formal ones you can go with any color that you want, even though brown would be the best. The seasons play a big role for footwear as well, as you should avoid dark shoes in spring and summer – choose tan ones instead. Finally, make sure your shoes are well-kept, polished and clean. This is very important and cannot be stressed enough! As you can see, men really do have to think about many things while they’re choosing their wedding outfit. Hopefully this guide will save them some time, and they’ll look extremely handsome for the next wedding reception! So much thanks to Mia Taylor!! Mia Taylor is a fashion and beauty enthusiast from Sydney and writer for www.highstylife.com. She loves writing about her life experiences. Traveling and enjoying other cultures and their food with her husband is a big part of her life. She is always on the lookout for new trends in fashion and beauty and considers herself an expert when it comes to lifestyle tips. 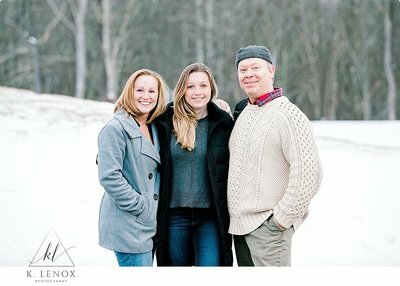 Interested in having Kris photograph your Engagement or your New England Wedding then you can reach out to her HERE. Kris is also available for travel.